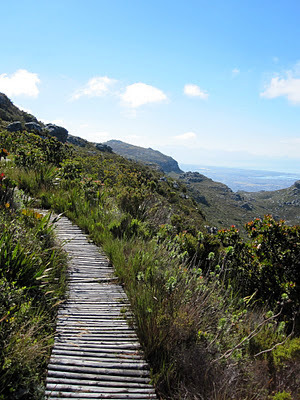 Today I ran up Table Mountain, then down the other side, then along the contour path to Devil's Peak, then back up, and then back down. It was a monster 6 hours in the mountains and I loved every minute of it! Beautiful dam on top of the mountain. The wall that holds the dam on the mountain top. Amazing view over the mountain to the Atlantic. There is a series of boardwalks and chain ladders to climb on to the Table top. View over the harbour and signal hill. 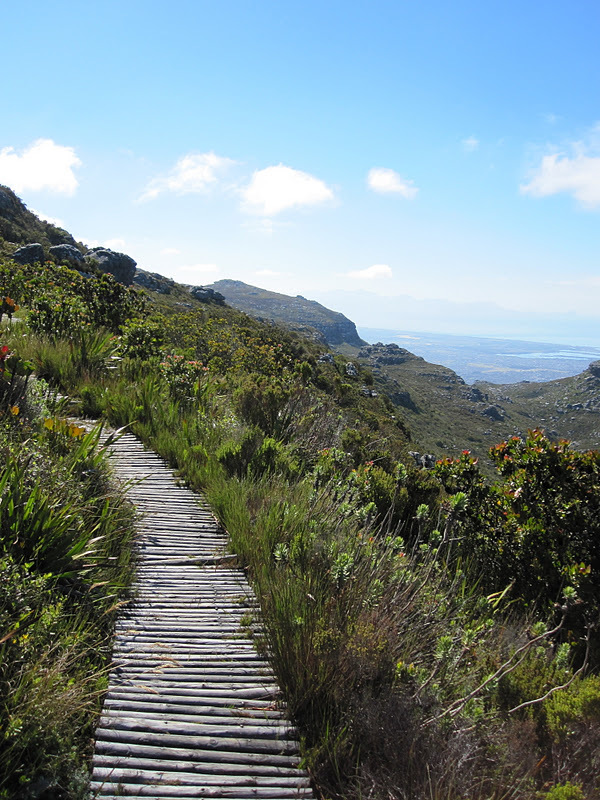 View of Lion's peak from the Devil's Peak contour path. The contour path was some of the only flat running of the day.